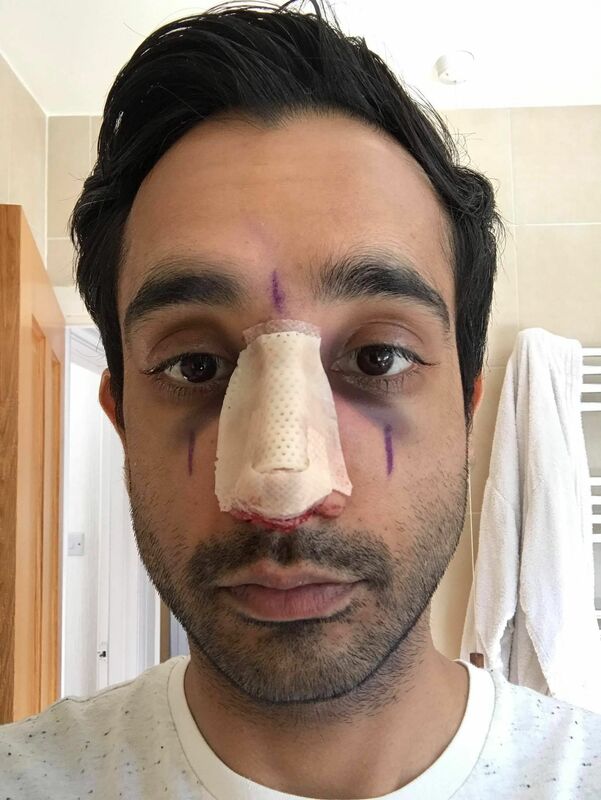 Financial specialist Vinay Rathod had always felt ‘somewhat unhappy’ with the shape of his nose – but had to wait 10 years before he had the cash to splash out on getting it reshaped. Having undergone a rhinoplasty procedure in May, the 34 year old – who spent two and a half years at dental school before deciding to focus on his long-established company, V.R Financial Solutions – is over the moon with his new look and hasn’t looked back. Like many of us, his research began online as he trawled the internet in his hunt for a clinician who could deliver the results he desired safely. He says: ‘Having some medical training helped me to sift through the volume of information that was available. 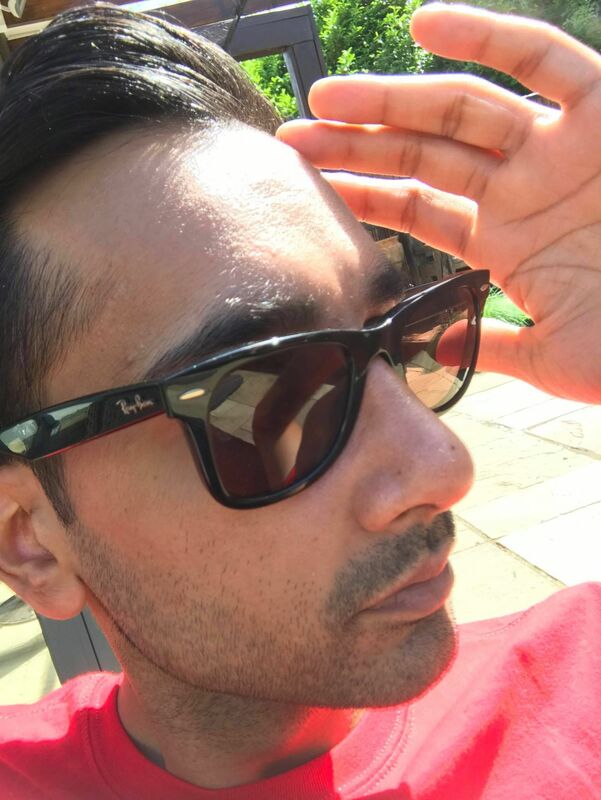 My chosen surgeon (Harley Street’s Rajan Uppal) was the only person I found who, despite much effort on my part, had no negative comments about him whatsoever. With an expectation of his chosen surgeon to have a high level of skill, experience and knowledge, Vinay refused to be emotionally led. He says: ‘Other people might disagree and opt to “buy” from someone they like and it can be an emotionally led decision. But I was able to remove emotion from this process to choose logically. 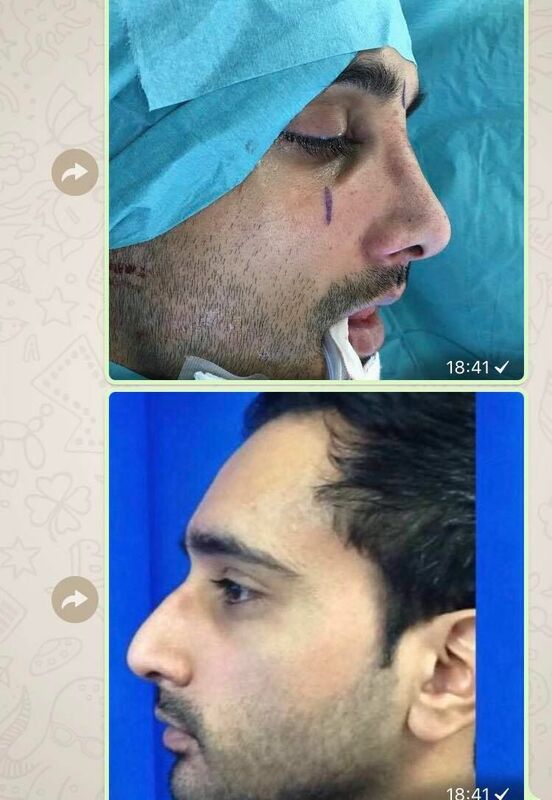 Experience in handling similar cases (and similar nose shapes) was also important to Vinay. was so proud of his new profile, he happily shared his ‘before and after’ photos on Facebook. A month on and he is so far ‘very happy’. And, when it has settled down, does he think it will boost his confidence? And what tips does he have for those of us in a similar position still on the cusp of cosmetic surgery? Vinay suggests: ‘Take your time and think about the change. Ask yourself if you really want it. Are you driven by a desire to generally improve aesthetically – or are you led by poor self esteem – in which case surgery is not the answer. ‘If it’s poor self-esteem, seek advice on how to manage and overcome this first and determine whether you still want surgery afterwards.